I’m building a 32”X80” passage door. Finish will be a dark Walnut stain/poly. What do you guys think about using 8/4 Pine or Poplar for the door frame? I will jointing/milling everything straight, but what is least likely to bow and twist on me? I’d rather not have to use quartersawn Oak or something. are stable, well-behaved woods when dry. Don’t use construction lumber, use baseboard. Why do you want to go through all the trouble of making cheap wood look like walnut.Plus walnut is very stable. Pine and popler is good if your painting it. 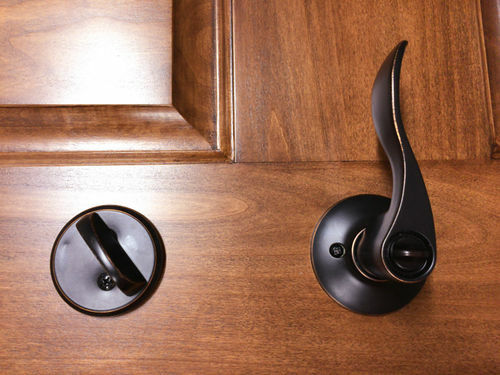 Alder is inexpensive and finishes nicely. I did an entry door from the garage to the house. Even with the curveball code requirement for fire retardant, it came out OK.
I’ve not used it in non painted applications much, but my understanding is that poplar does not take stain well. I have dyed poplar with no problem and once used an all in one kind of thing, a toner in finish, and it was fine. But like Johah, I’ve heard that regular pigment stain will blotch on poplar. You’re asking about wood for the door frame but what about the door? How do you plan to construct it, and what’s the design? Is it two panel, four, six, or just a solid slab? Assuming it’s a paneled door, what dimensions are you looking at for your stiles, and what are the widths of your three (or four) rails? It’s an entry door, so I assume it’ll be 1-3/4” thick, but what about the panels, if there are any? Maybe my supplier lied to me and gave me something other that Alder. I had a customer who wanted some kitchen cabinets. He asked for Alder and he wanted to finish them himself. A dream come true. I don’t particularly care for coloring wood. So I go to my lumber supplier (not home depot or Lowe’s) but a local business that supplies many of the local cabinet builders in Anchorage and get enough Alder for the project. 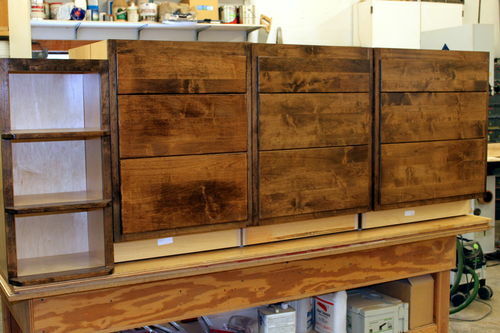 I built the cabinet and he stains them with some kind of walnut stain. I think they look like dog do do. The customer is happy. I had a customer who wanted some kitchen cabinets. He asked for Alder and he wanted to finish them himself. A dream come true. I don t particularly care for coloring wood. Looks like poorly stained alder to me. It’s as prone to blotch as pine is, if you don’t know what you’re doing. At least the customer is happy. That’s what it’s all about, right? Great looking door Rich T.
Now that’s some skill to get Alder to look so nice. I’m a fan of Alder one of our Dometic hardwood that’s over looked a lot. Now that s some skill to get Alder to look so nice. I m a fan of Alder one of our Dometic hardwood that s over looked a lot. Thanks Aj. That was my wife’s finish recipe. 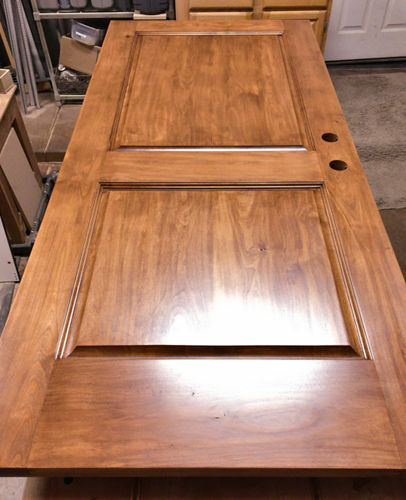 She did the finishing on all of the interior doors I built for the house, and did the staining on that one. All I did was spray the topcoat. Apologies to Ben for hijacking his thread. I only posted those to show AlaskaGuy since he posted the photos of the alder cabinets his customer stained. 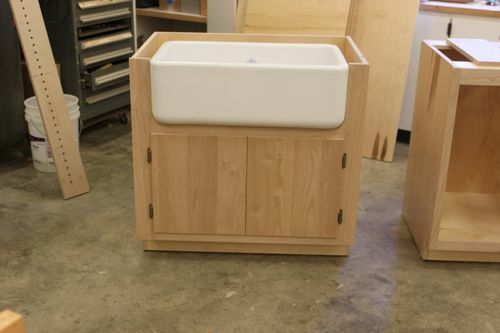 There is an art to applying stain correctly, and that is with wood that takes stain well. I cannot count the number of poplar, alder, and pine pieces I have stained, only to paint right over the top of them when they turned into blotchy monstrosities. Rich appears to be one of those artists that I envy. That door is fantastic, especially when we know if had a fire retardant coating applied, and it still stained like it did. Truly impressive, and something I doubt I would ever achieve. Rich – no worries man. That is some seriously gorgeous finish on that door! Excellent work. Maybe you’d be so kind as to share the recipe? As for my Poplar door, it’s been decided by the homeowner that it will be painted. I am much relieved. I’m happy to share, but it won’t be very useful. Since it was an entry door from the garage into the house code required flame retardant that made the staining a challenge. The details are here on the project page.